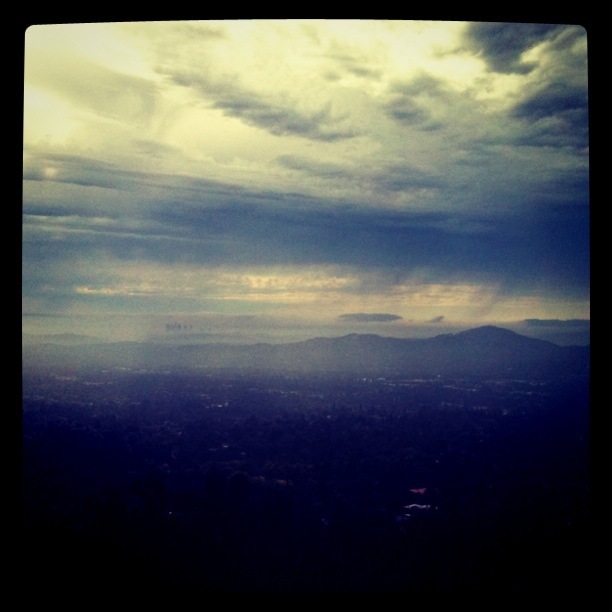 LA basin, not it’s usual sunny self. It’s somewhat of a rainy day here in Los Angeles. Perfect soup weather, actually. I’ve never really been much of a soup maker. My personal preference is to chew my food (albeit, as little chews as possible… I tend to be quite a FAST eater). The soup related items that I do make are usually pretty hearty, like a stew or chili. However, I have recently acquired a husband who ADORES soup. One of his favorite meals is a chicken tortilla soup served at a little mexican place in Encinitas, CA. So, because I love this man and need to frequently expand my culinary repertoire, I decided to make soup tonight. 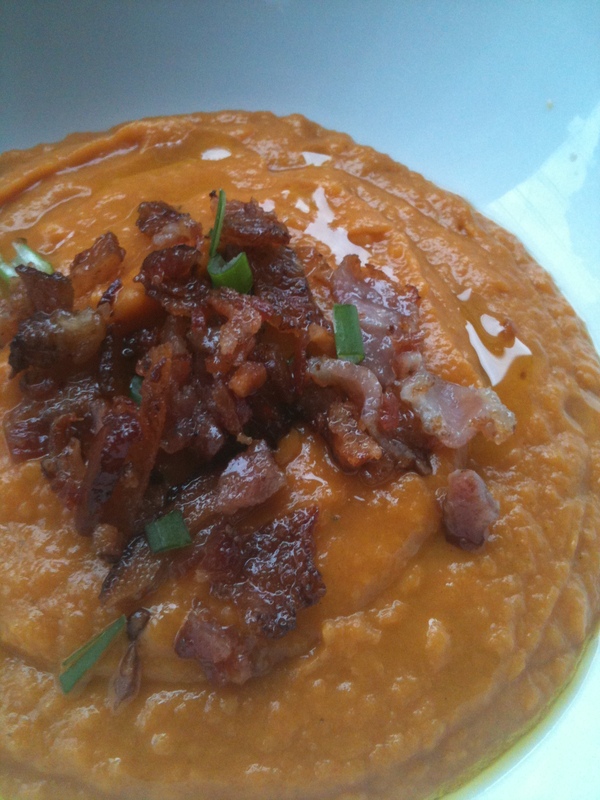 It’s a smooth and filling pureed soup made from yams. 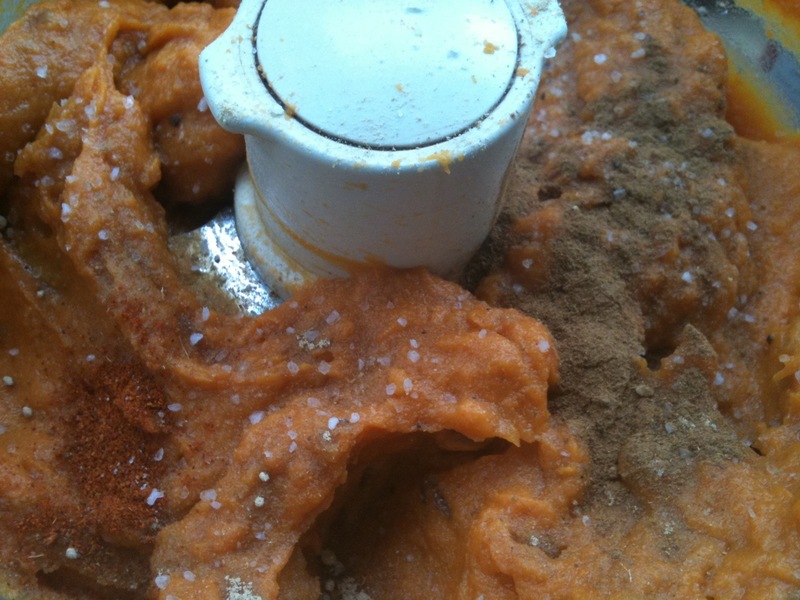 You can use sweet potatoes or jewel yams, it will taste great either way! Soup, good. 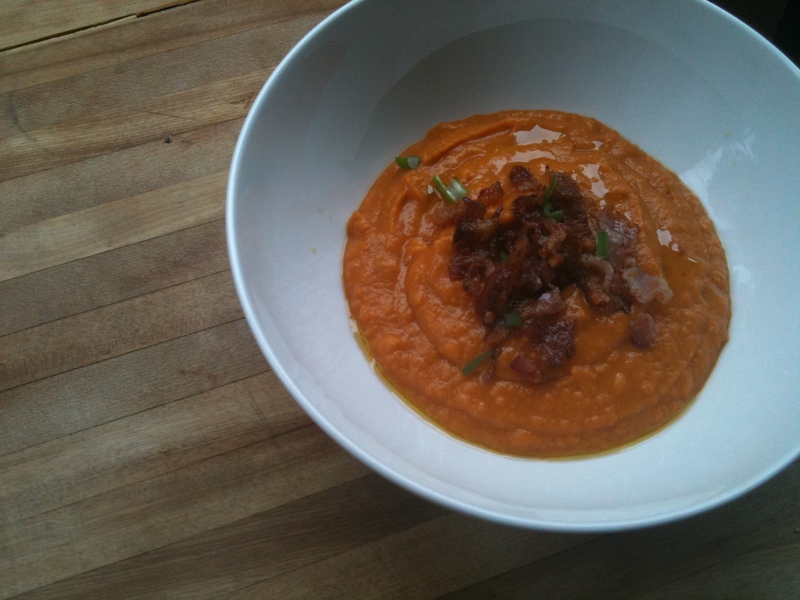 Soup with bacon, better! Cook the bacon till crispy. I like to do it in the oven at 350. It’s less messy. In a small skillet over low heat, add a little grease from the cooked bacon (about a tbsp.) and the sliced onion. Let the onion caramelize slowly. About 10-15 min. Get your blender ready! This is a pureed soup, so you can use a blender, food processor or immersion blender and get the same result. I used a food processor. 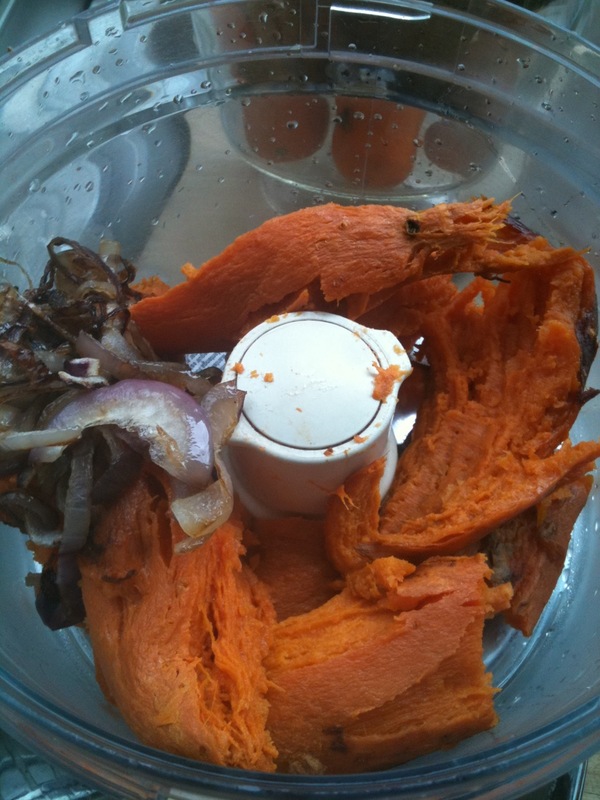 Process sweet potato until pulverized, add chicken broth, caramelized onion, and garlic. Add chicken broth until you reach your desired texture. Add ginger, salt, and red pepper flakes to taste. The ginger will make it spicy so go light on the red pepper if you don’t want too much heat. Add salt to taste. Remember, you’re adding bacon at the end! Serve with the crumbled bacon and green onion on top. It a winner for sure.